Get Healthy with HG in 2018! Inspiring & Info-Packed Sessions, Panels, Demos & More! This interactive programming will change the way you look at food and dieting. Here's just a taste of what you'll experience! * What to Do If You're Always Hungry - Learn to outsmart your cravings with strategies that WORK. * Calorie-Burning Secrets - Not an exercise fan? Lisa's personal trainer, Mandee, has you covered with easy ways to burn, burn, burn! * Fitness & Food Myth Busting - Award-winning health journalist Robert J. Davis, PhD, reveals some shocking and game-changing truths. * Success Story Panel and Q&A - Get real-world advice from weight-loss superstars. Hear how they did it! * Supermarket Smarts - Learn how Lisa's personal food-planning philosophy can revolutionize your weight-management strategy. CLICK FOR THE FULL PROGRAMMING SCHEDULE! Tropical Destinations: Beaches, Sight-Seeing, Shopping & Beyond! * Half Moon Cay, Bahamas - A private island with silky, white-sand beaches and all the magic of a secluded retreat! 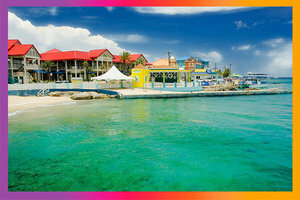 * George Town, Cayman Islands - Clear blue waters, duty-free shopping, and tropical rainforests! * Cozumel, Mexico - Natural beaches, bright storybook coral reefs, botanical gardens, and top-notch cuisine! * Key West, Florida - A subtropical paradise! Take in the history, architecture, natural beauty, and more. CLICK FOR THE FULL 7-NIGHT ITINERARY! Bonding & Fun with Lisa & Team, Plus Fellow HG Fans! 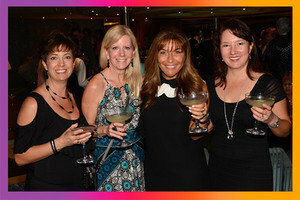 Uncover a support system of forever friends that will last long after the cruise ends! * Cocktail Parties, Karaoke & Entertainment - Snap selfies, sip HG margaritas, rock the mic, and take in the ship's world-class live music! * All-Levels Exercise, Dance Breaks & Deckwalking - Join Mandee for energizing morning workouts and reinvigorating mid-session stretches to music! Or join Lisa and HG staffers for a stroll around the boat to rack up those daily steps. * Pool Lounging, Beach Relaxation & Excursions - Unwind by the ocean, take in the port sites, or take a mid-day dip in one of the ship's luxury pools! Today is January 10th, National Bittersweet Chocolate Day. This calls for a batch of Double Chocolate Cheesecake Dip, made with semi-sweet chocolate chips! Start planning your trip with friends and/or family members... Click “Send to a Friend” now!